Getting things moving was local Adelaide psych-rock band Rat Ta’Mango. Having seen this band name previously around town, I was intrigued to hear them live and to put a sound to that peculiar name. I was impressed and satisfied by the bluesy tones that echoed throughout Jive and got the early birds moving on the dance floor. Smack bang in the middle of the night was a quirky, quacky 6-peice band called Silent Duck. Full of unique humor, funky riffs and brassy horns, Silent Duck impressed throughout their forty-minute set. The crowd banter and vocal performance provided by ‘Sexman’ was on fire. I instantly noticed Frank Zappa type influences; the mix of horn section and rock ‘n’ roll music, with spoken vocals splashed here and there was aesthetically pleasing and quite progressive in many respects. Silent Duck showcased their brassy funk-rock tunes. To round off the night satisfying everyone’s burning desire to hear the tastiest, most blistering and intense riffs of all time, Filthy Lucre took to the stage. Vowing to play every song off the new album, I knew we were in for a treat. Filthy Lucre is made up of Luke Marsh on guitars, cigars and vocals and Ed Noble on drums and percussion. This band only has two members but manages to create a huge sound; I am surprised and impressed every time, especially when I hear the cigar-box guitar put into action. It is full and in your face, making you stand up and move to the music. From beginning to end Filthy Lucre brought the big guns, fat, chunky riffs were flying all around Jive. The energy was high on stage and off stage, with many fans in the crowd moshing and jumping around to the music hitting our ears. I’m pretty sure that drummer Ed Noble, was standing up for most of the gig! All I could think of at the end of the night was how fortunate I am to have experienced such a powerful and memorable performance from Filthy Lucre. I had never seen such excitement and vigor in the local scene, the crowd was giving back the intense energy that they were receiving from the performers. It was a positive night full of sleazy, dirty rock music and Filthy Lucre were the stars. As the night came to a close, I felt excited because I couldn’t wait to hear Mara, the album I was holding in my hands. I hoped that the sheer, exhilarating live performance of Filthy Lucre would be translated onto the studio record and the thick, fat tones would be captured for all to hear. I guess I will have to listen and find out… for the love of music. A solid riff-rock performance by Filthy Lucre made Jive go crazy. 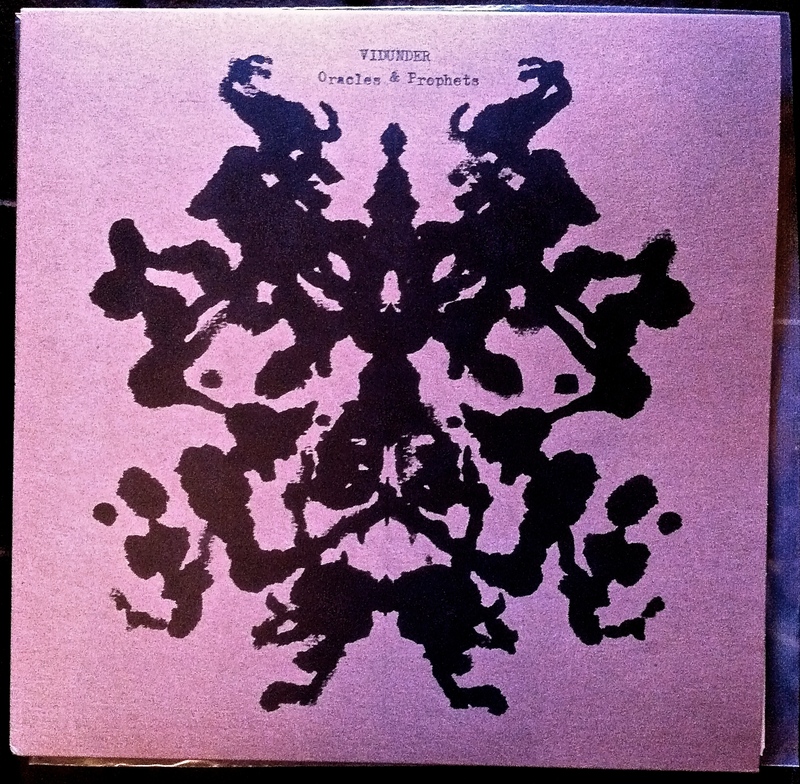 With great pleasure I get to review the latest release from Swedish retro rockers Vidunder titled Oracles & Prophets. I was very excited when the LP showed up on my doorstep last week; I unwrapped it and put the record straight onto the turntable. I had only heard snippets of some tracks before the albums release so I was motivated to hear the complete work. My excitement was brought on by the positive impression of the first album, the self-titled Vidunder. Since then the band has grown from a trio to a quartet, making organist Johannes Cronquist a permanent member of the group. This was a grand addition; the organ can be heard throughout the album creating a full and vibrant sound. The use of long, spacey notes, together with atmospheric guitar tones, made evident a psychedelic influence in ‘Kalhygge’, and the arpeggios played by the organ in ‘Gone With Dawn’ added excitement and colour. The second I dropped the needle onto the record I was tapping my feet and banging my head to the classic 60s/70s style tunes. The album started with such power! ‘Gone With Dawn’ was a great opening track featuring anthemic choruses and searing vocals, provided by vocalist-guitarist Martin Prim. This high energy was maintained throughout the next couple of tracks. The side ended with a haunting tune, ‘The Owl’, that built-up pleasantly and showcased even more of the band’s psychedelic influences and depth. I flipped the album over and the fast pace rock ‘n’ roll returned. These alterations in energy and feel show that Vidunder are a band of substance and quality. Many of the songs on the album would make anyone want to dance to the strong rhythms and punchy guitar hits. The final track, ‘Oracles & Prophets’ stood out as a solid ending to the album. The song starts with a siren like guitar sound, alerting listeners to the tasty jam that ensues. The tune builds effectively with punching rhythms and scorching guitar solos. I had to rock along and couldn’t stand still! Before you realise, the song fades out, the album ends and you are inclined to flip the vinyl back over and listen all over again. 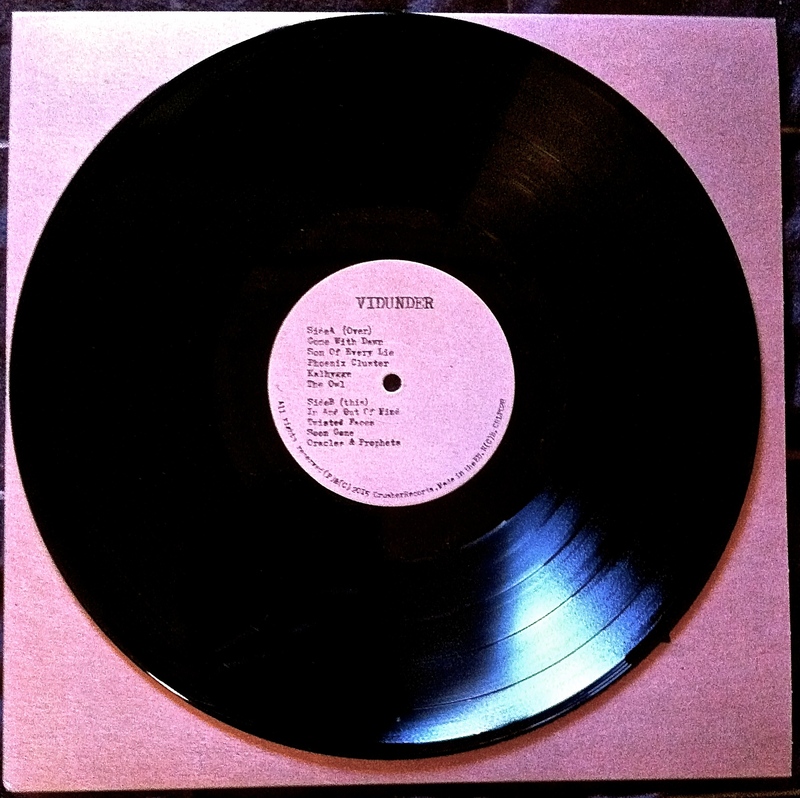 Vidunder know how to compose an album that isn’t afraid to demonstrate versatility and vintage influences. Oracles & Prophets is a well-crafted time warp back to when rock music was raw, fresh and lovable. I happily struggled to identify any distinct influences of bands from the past, which shows just how well Vidunder are at mashing their favourites together to make a vintage sounding but incredibly modern sonic artwork. This is an album that can be put on at a party or listened to with a glass of Baileys, either way it will be enjoyed. So take a trip back in time and discover Vidunder’s unique old school tones for the love of music.